It is a country not to be missed – not for its beauty, but for its ache. When the buffaloes fight it is the grass that suffers. I came across this Laotian proverb on Little Laos on the Prairie’s blog, and I think it helps portray the experience I had while traveling the approximately 2,000 kilometers or 1,200 mile length of the country for two weeks. There is nothing quintessentially beautiful about the country, in fact the only color that comes to mind when I think about it is brown, and I can’t recall a single experience that made me think, “Now this is why I’m here!” I did all of the things they say you should, and perhaps that’s exactly why my experience did not feel authentic. I rarely saw a smile on the face of a Laos person, and perhaps it’s because we don’t deserve them; you see, we are the buffaloes and the Laos people are the grass. For me, the majority of what I saw was history; the past, and how it’s affecting the present. 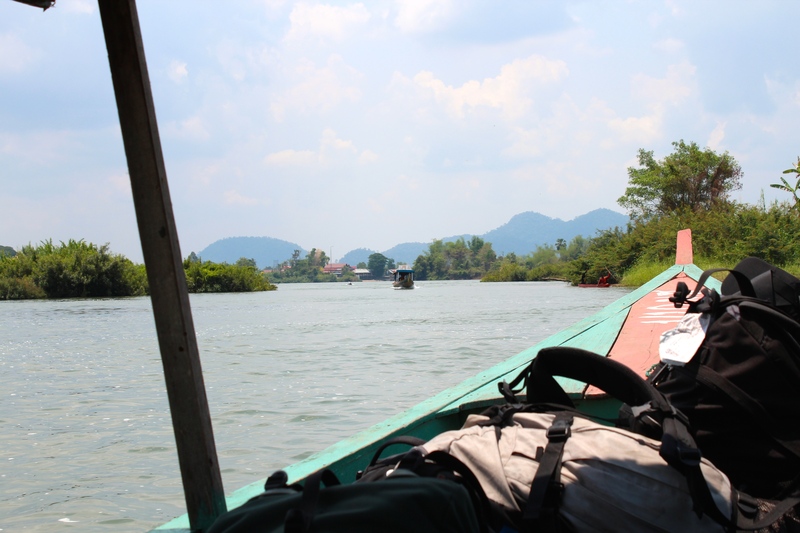 First on the traveler check-list: Two day slow boat down the Mekong River to Luang Prabang. 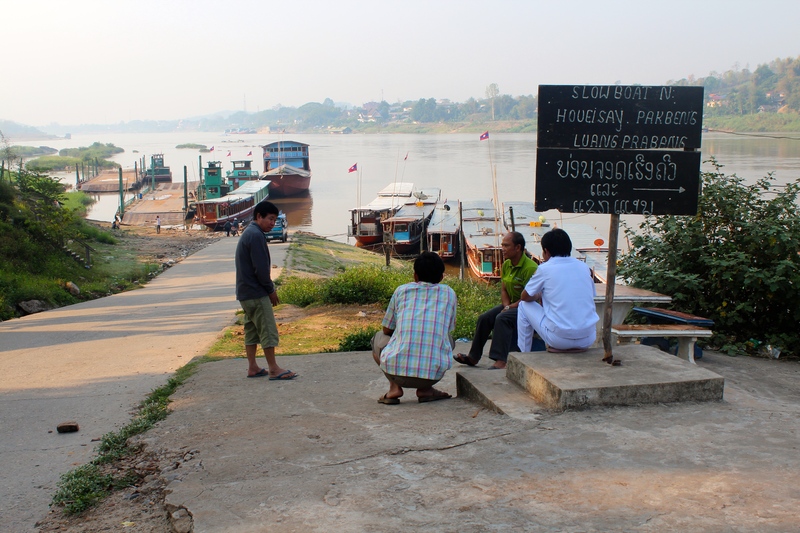 Waiting to board the slow boat from Huay Xai to Luang Prabang. 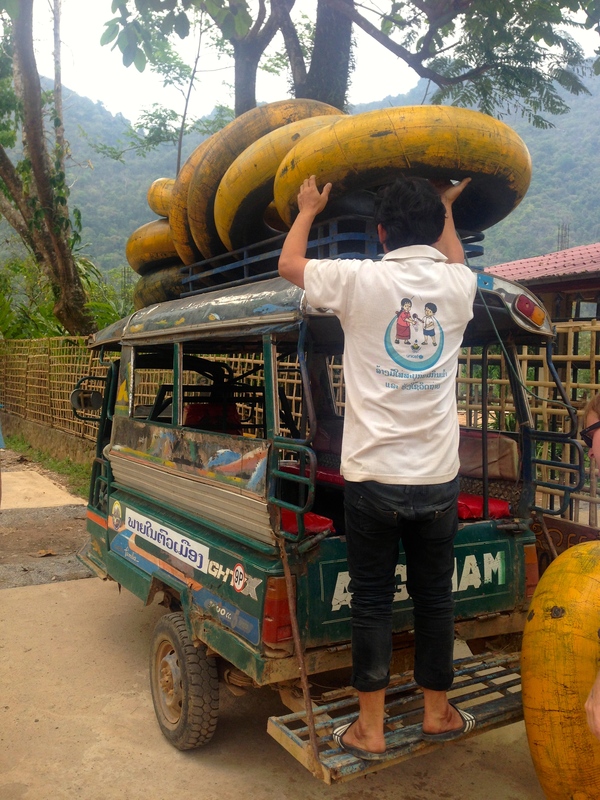 A 2 day journey with a stop-over in Pakbeng. The first day was 6 hours, the second day would be 8 hours and an extra 50 people crammed on. 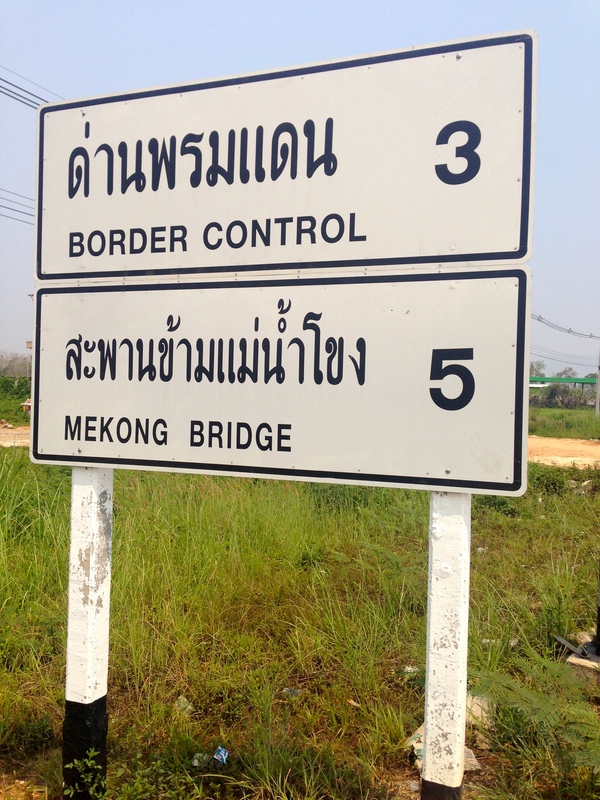 Not the best ride, but parts of the Mekong were charming. 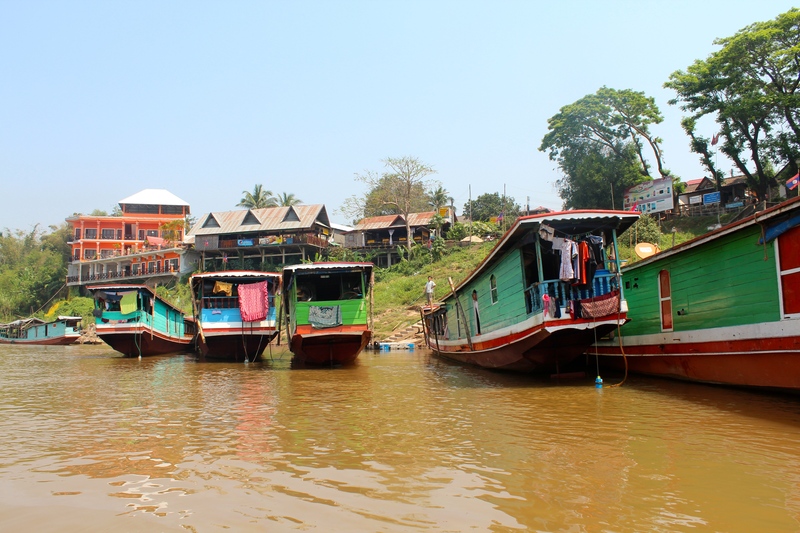 Seeing small villages and children playing in the river that divides Thailand and Laos was relaxing and peaceful. 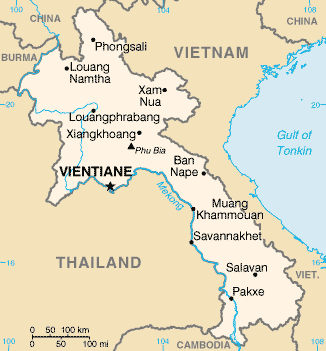 Here’s a brief and precise summary of Laos over the last century. This is what you see on the faces of the people, and in their National Museums. 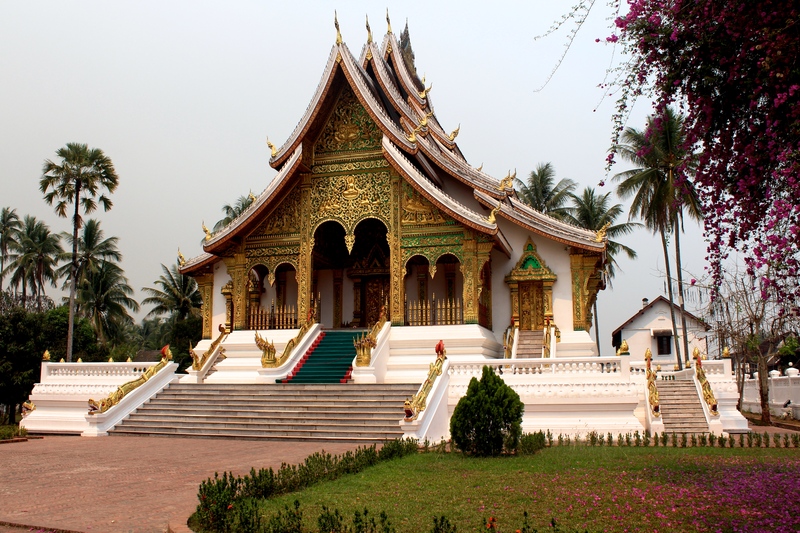 Second: Luang Prabang. A sleepy, yet charming, and UNESCO World Heritage, city. Very top of the waterfall, 45 minute hike. 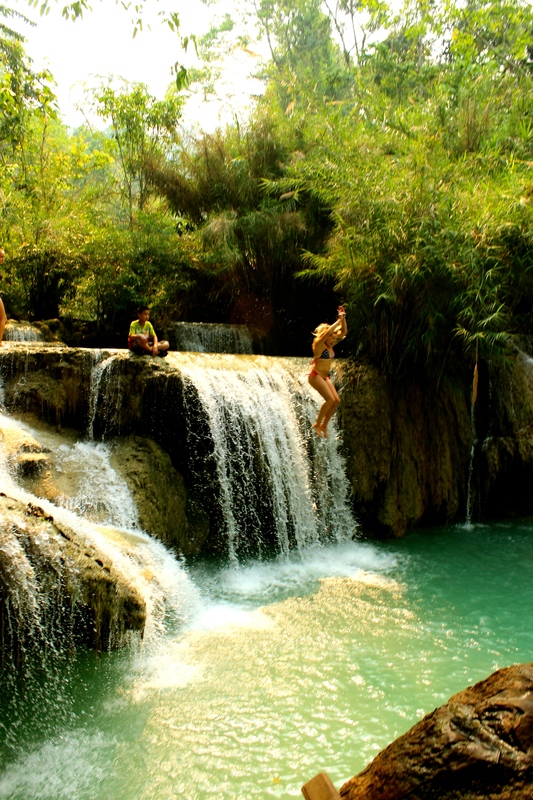 Kuang Si Waterfall. Small jump! 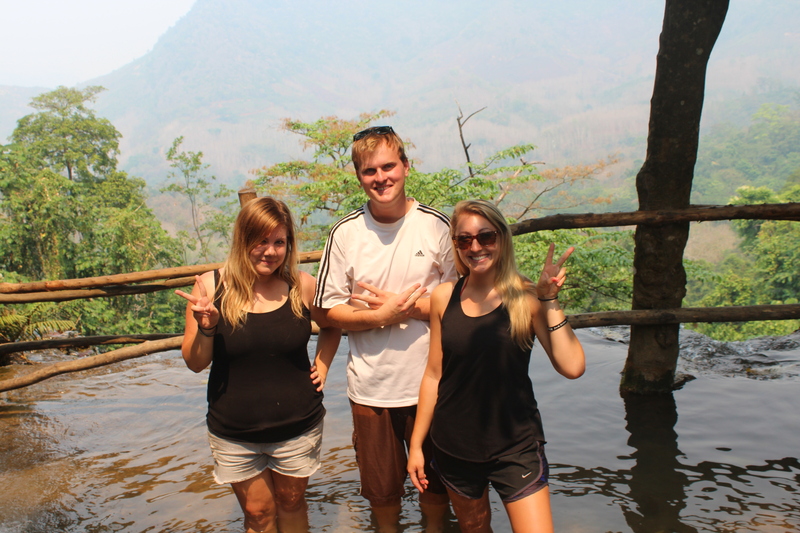 The truth is I felt like I couldn’t be happy in Laos when the locals didn’t seem happy. 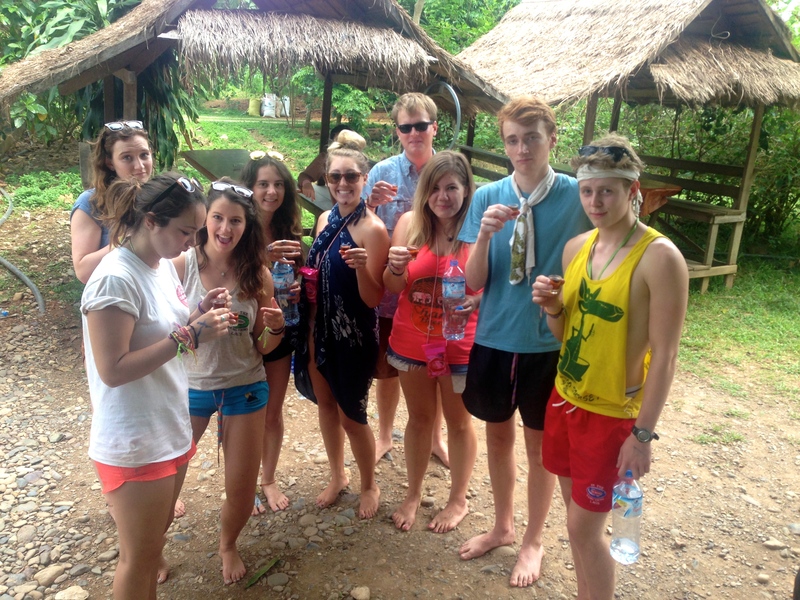 A few years ago Laos was the happening go-to party stop for every backpacker in the world. 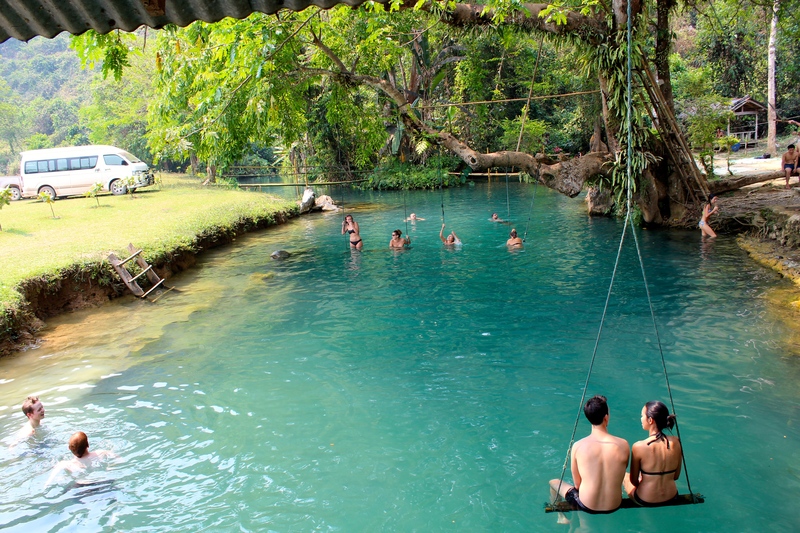 Drinking, drugs, river floating, and lagoon jumping were the name of the game, but since has been drastically contained by the government after several deaths. 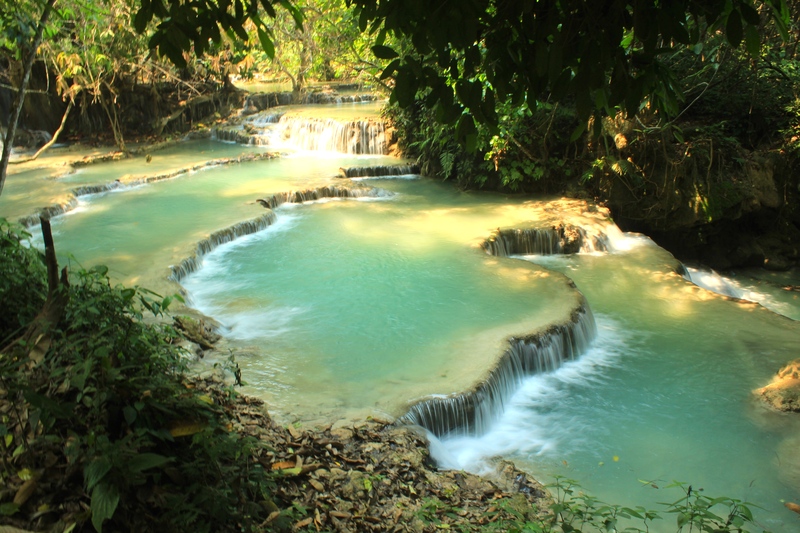 Now, the local people try to get every dollar from you that they can because there are far less of us traveling through, and sadly Laos does not have the infrastructure to support a rebrand or tourism development project to adjust to this change. The outcome is difficult for those who survive on the tourist dollar. 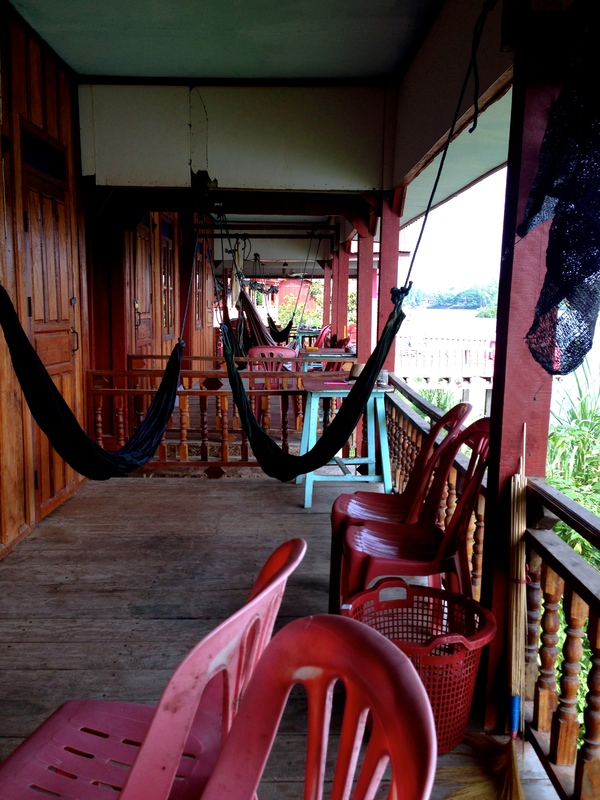 Each hostel and hotel will adamantly fight for your business as you step off the tuk-tuk, slow boat, and bus. While every experience you have when traveling will not be pleasant, exciting and joyous, there is never not at least one smile worthy discovery to be found among the less pleasant. The overall feel of Laos may not have been perky enthusiasm on caffeine, but Luang Prabang and Vientiane offered as nice buffers. We enjoyed some great eats at restaurants Bamboo, Pilgrim’s Cafe, and La Banneton, thanks to the suggestion of fellow traveler’s from San Francisco! We also made our way out to the Bowling Alley – the only ‘bar’ option after 11pm, and spent two consecutive evenings enjoying the atmosphere at Utopia. 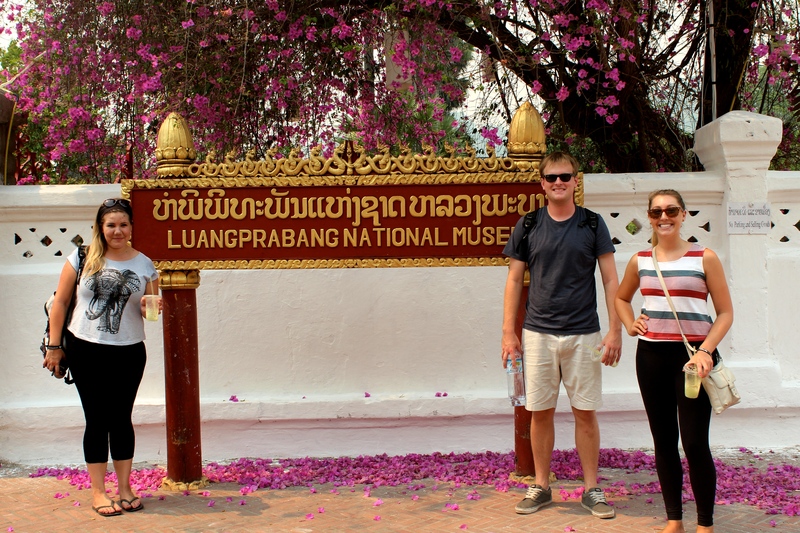 Luang Prabang was a charming and relaxed city, and a great stop on the journey through Laos. 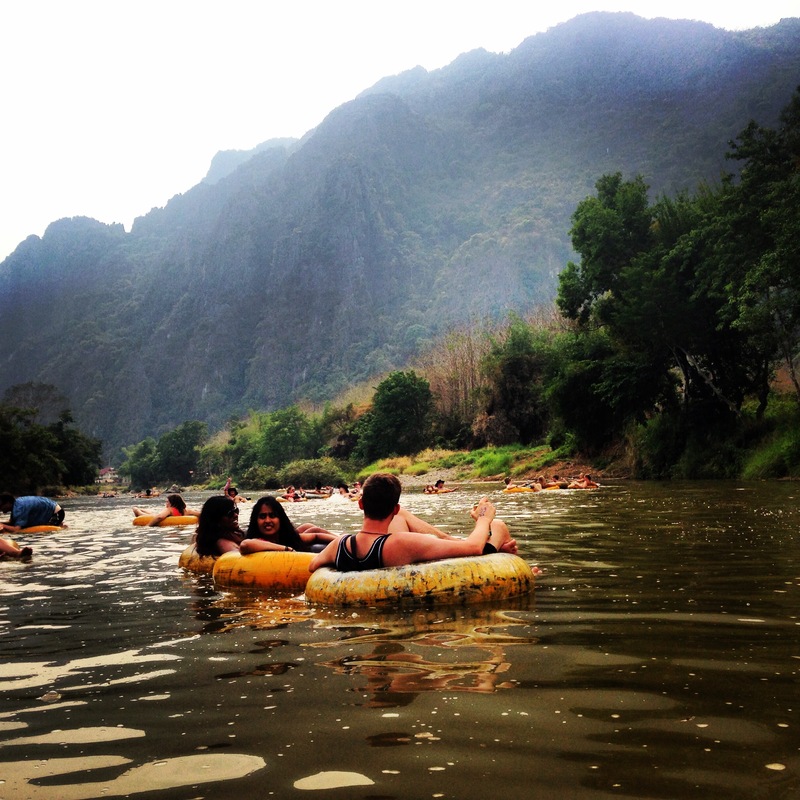 After Luang Prabang most depart south towards Vang Vieng, which happened to be stop number three on the traveler check-list and tubing central. The mandatory pre-tubing whiskey shots. 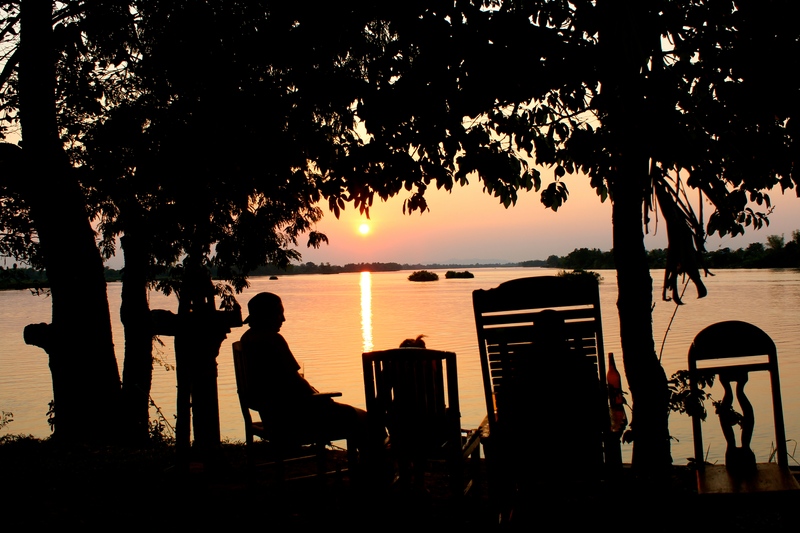 Aside from tubing down the river, a minimum 3 hour journey during the dry season, yet most span to 6 hours as you stop off at riverbank bars to socialize, play volleyball, and have a drink, you can also visit the Blue Lagoon. Blue Lagoon is a small swimming hole 7km outside the small country town and worth an afternoon visit if time permits. 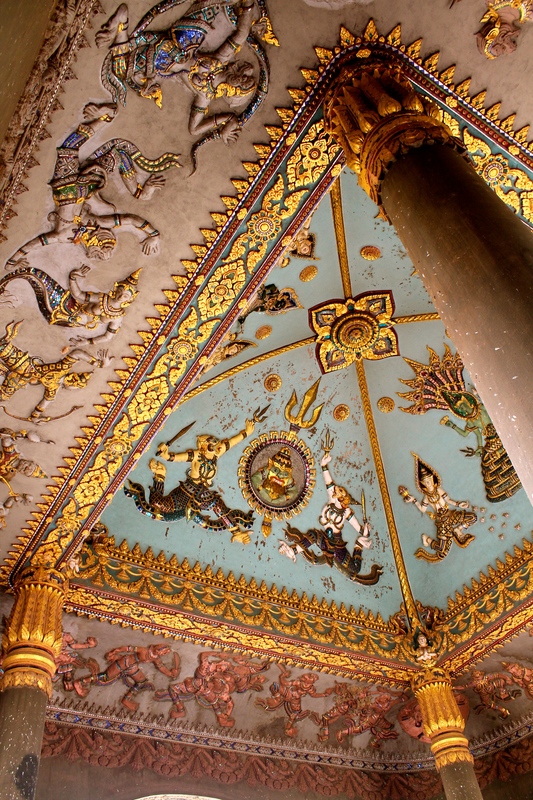 Fourth: Vientiane, the country’s capital city. 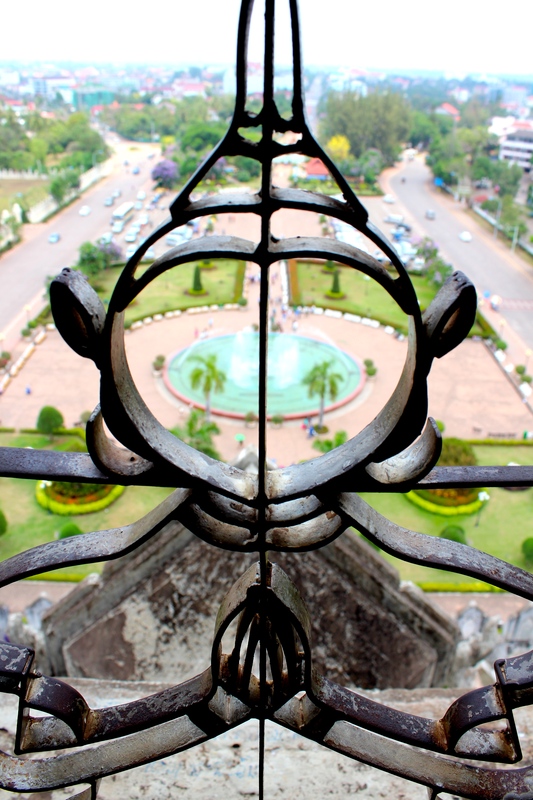 A view from the top of Patuxai. 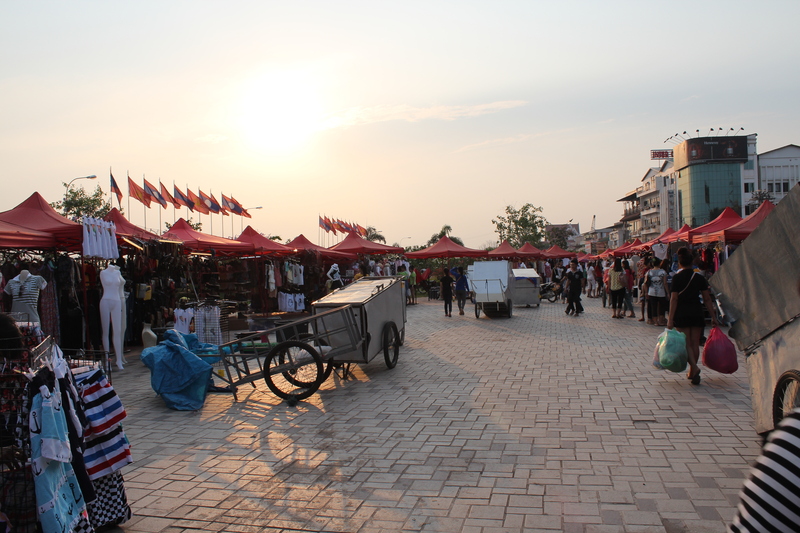 Vientiane was pleasant. 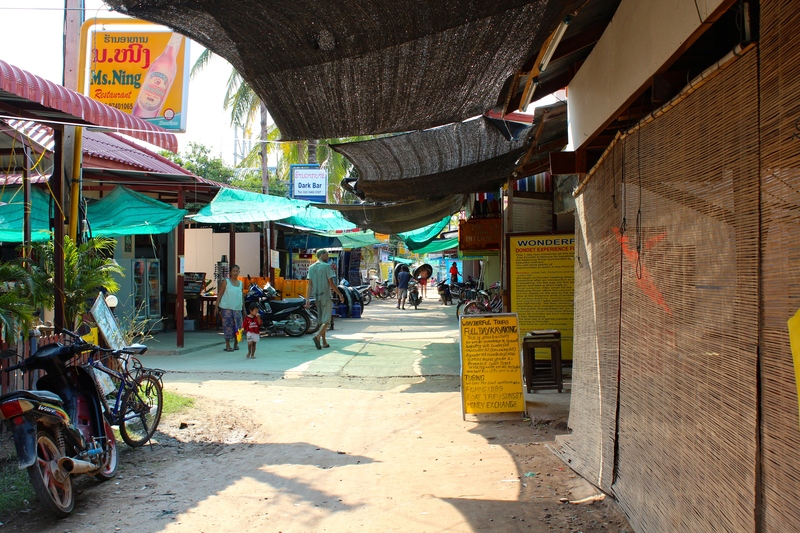 There were many accessible restaurants for travelers and wealthier locals alike, but the area was still limited to about a 2-street area. We had one day in this city so Nicole and I rented bicycles and made our way around the sites in record time thanks to the New York Times’s ’36 Hours in Vientaine’ article. 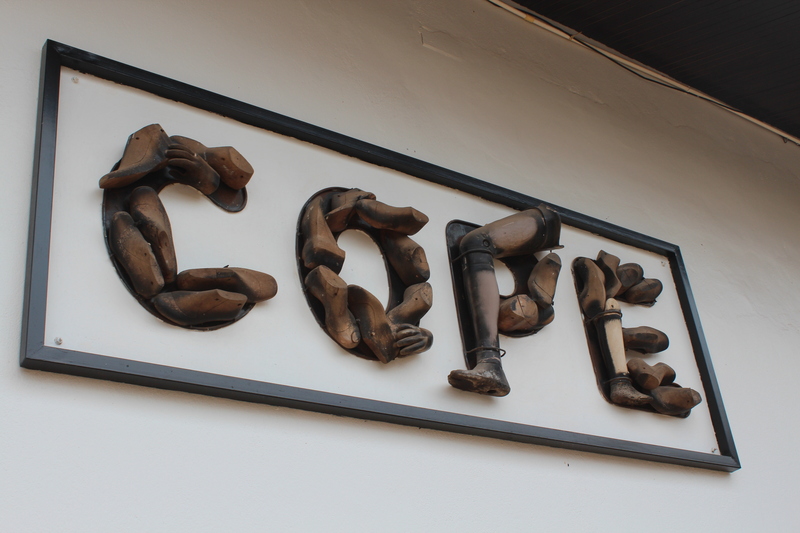 One of the most memorable visits was to the COPE center, an organization formed in 1997 to provide treatment and support for UXO survivors. 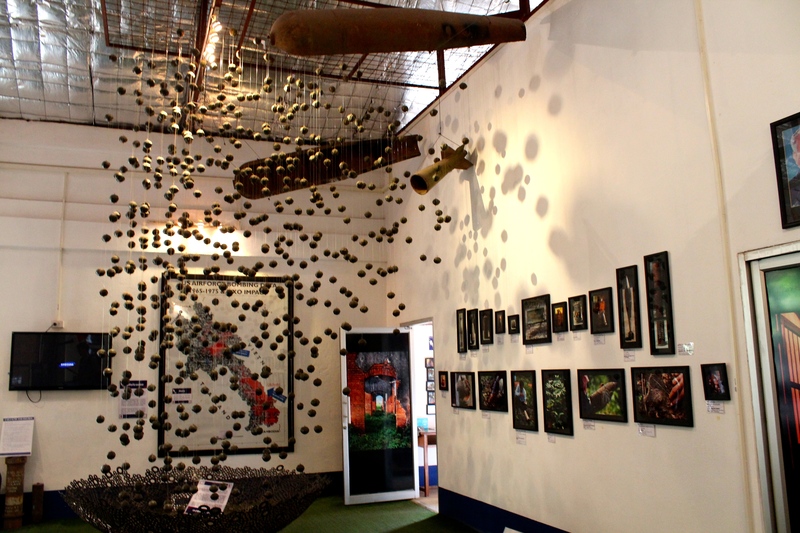 “UXO (unexploded ordinance) survivors are those who have been affected by the estimated 270 million cluster bombs dropped on the Lao PDR during the time of the Vietnam War. 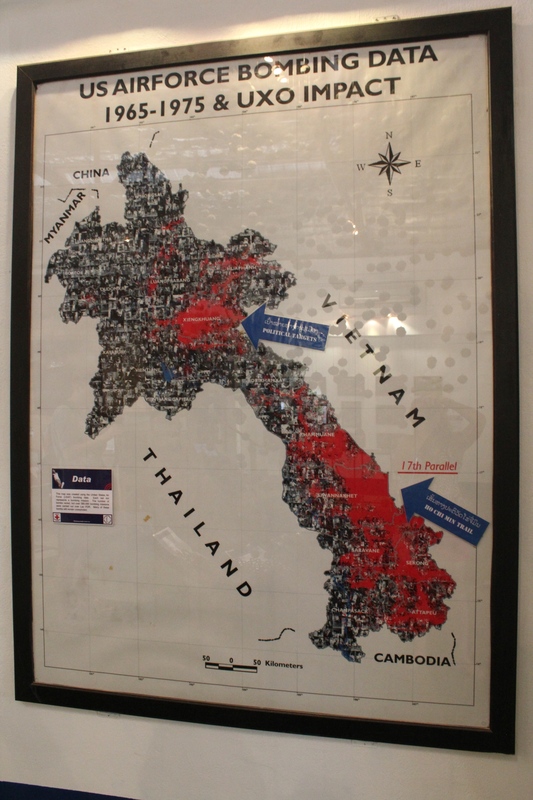 It is estimated that up to 30% (80 million) failed to detonate and continue to pose a threat.” The COPE center was my history lesson; how the United States played an integral part in the present way of life for many Laotians. A grim reminder of the affects of war not only on the parties involved, but those nearby. It was nice to see, however, that the U.S. government and its individual citizens have made significant contributions and offer continued support for UXO victims. Notable in the article, amongst many points, is that only 75% of the population has access to power, and even the cities that do have access we still experienced loss of electricity for minutes at a time on more than one occasion. This is a reality most are not often faced with when traveling for leisure, yet affects people the world round. As time became shorter and days flew by Nicole and I made it to traveler stop number 5: Don Dhet, AKA The 4,000 Islands. We had a quick 2 days there after a 17 hour journey on a surprisingly nice overnight bus complete with bunk-beds! Boat ride to the island. 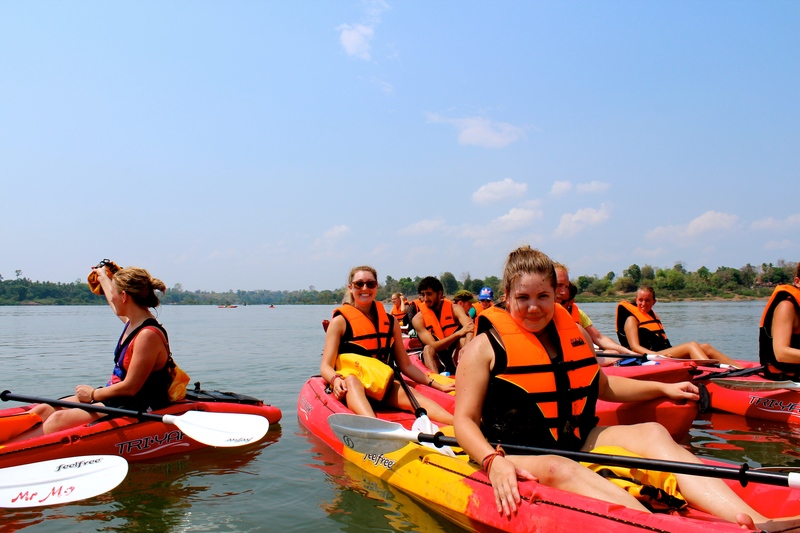 Kayaking to find the endangered Irrawaddy fresh water dolphins! The short stay on the island was just enough and I am happy we made the journey down. Some of the most beautiful, and un-filtered sunsets were found here along with a simple-ness that is becoming more and more rare as the world becomes a more globalized place. If you’ve read this far you’ve probably realized this blog post has been a bit different than my previous posts. 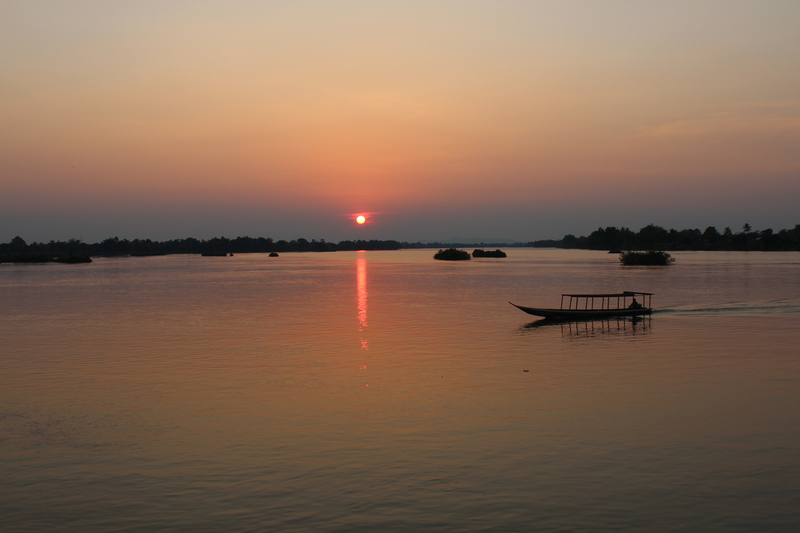 This post was filled with realities of the country and their parallels and perpendicularities with tourism at present, as opposed to offering a rose-tinted view of traveling Laos. My goal has always been to truly capture what I saw and felt, and not to overuse cheerful descriptions when perhaps it wasn’t a cheerful experience. What I did learn in Laos is the importance of understanding the history of a country, because that history plays a part in a multitude of contexts currently withstanding and in the future. I’ve learned to take a larger interest and pay special attention to the historical readings of the countries I now travel. 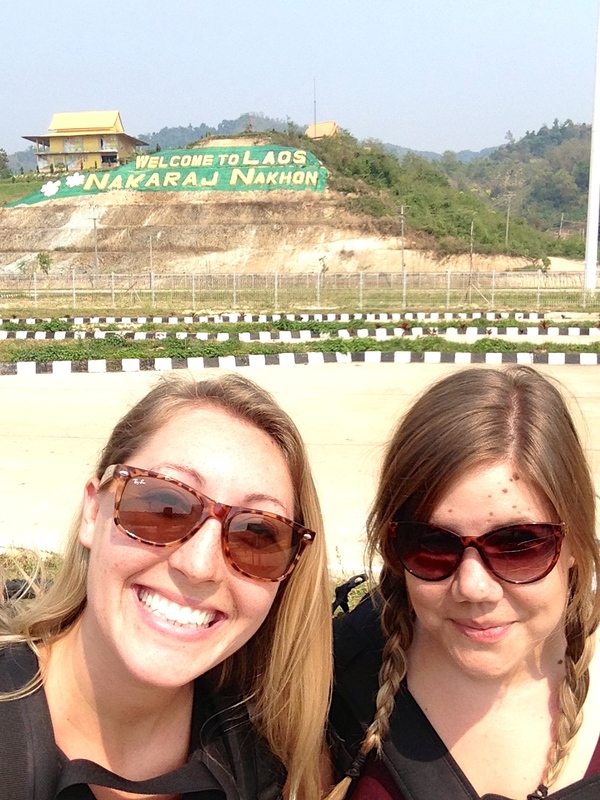 I enjoyed Laos in a different way than I’ve enjoyed other countries I’ve traveled, and I must admit that at the end of the journey I was particularly happy to cross that border back into Thailand.